Wolfblood is into its 4th series, currently airing on CBBC. I have been fortunate to have been involved in this series since it began. 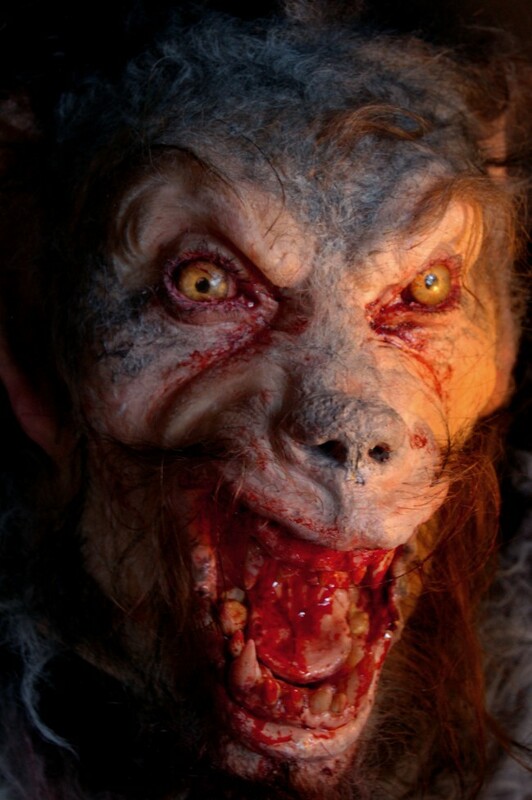 The first series I was involved with creating fog effects for the special effects department and also helping the makeup department with their transformations makeups that were scaled down to claws, wolf teeth and eyes. 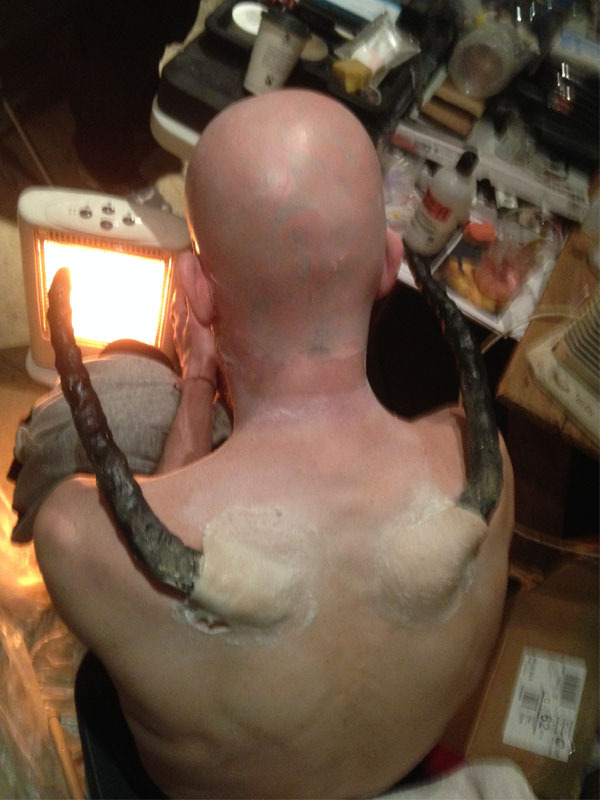 My role was to take finger casts of our actors and under the direction of makeup designer Michael Birtley, whom I had previously worked with on Ghost Street, I assisted in building the false nails/claws to be worn by our young cast. 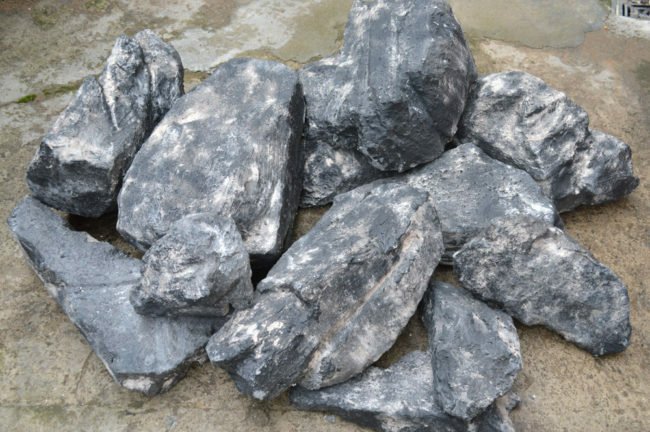 More recently it has been the art department who have called upon my skills to create various action props and set pieces to be used during filming. Latex rocks for a cave in sequence. 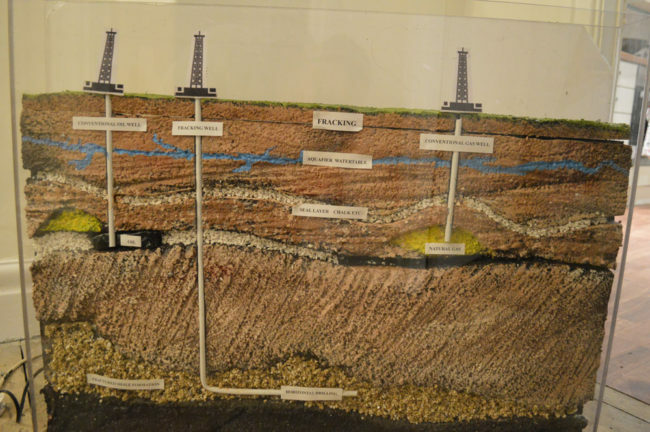 Fracking model for school display. 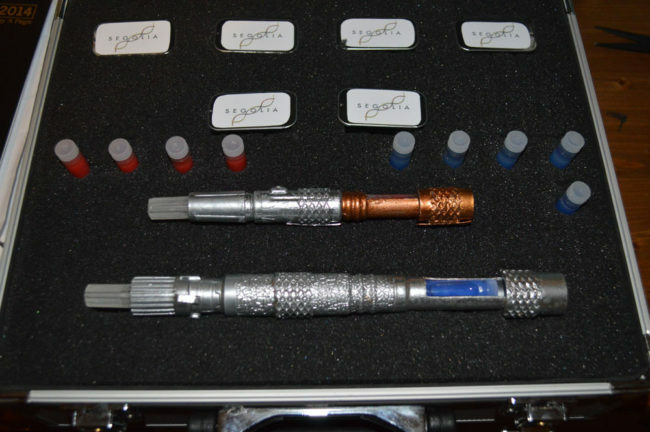 Segolia laser pens, first generation. 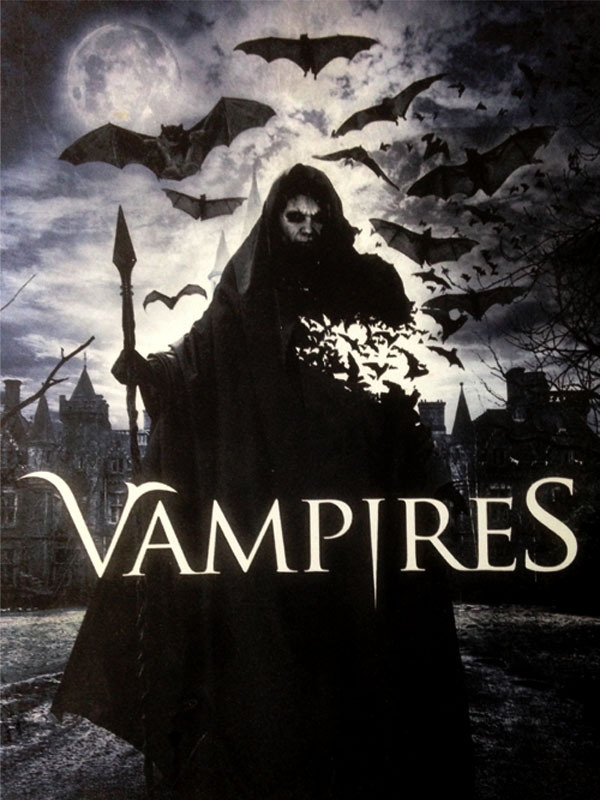 Vampires aka Bloodless finally was released on DVD in October 2015. 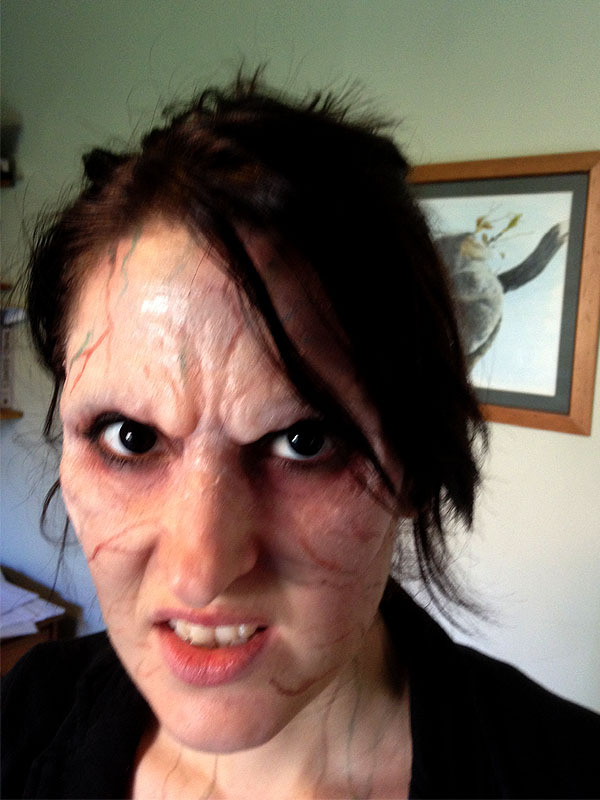 I re-created the vampire for model Steph Mossman to wear at the premiere. This makeup was made in silicone and lasted all day, If only I had the budget to do the original makeups in silicone too. 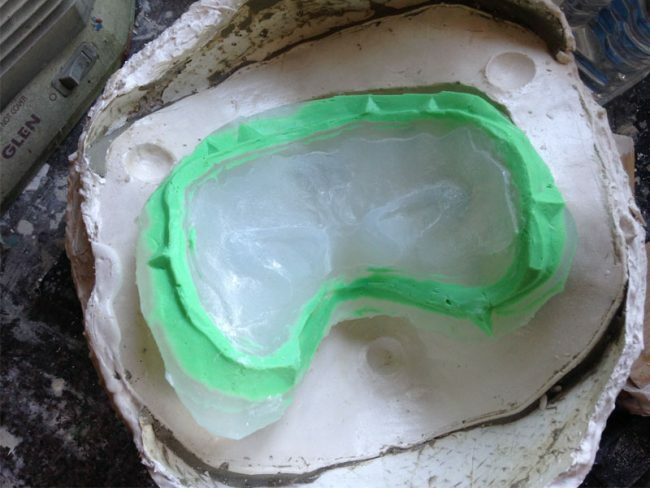 I thought I would have ago at making a conforming mould for this from silicone with a plaster jacket. 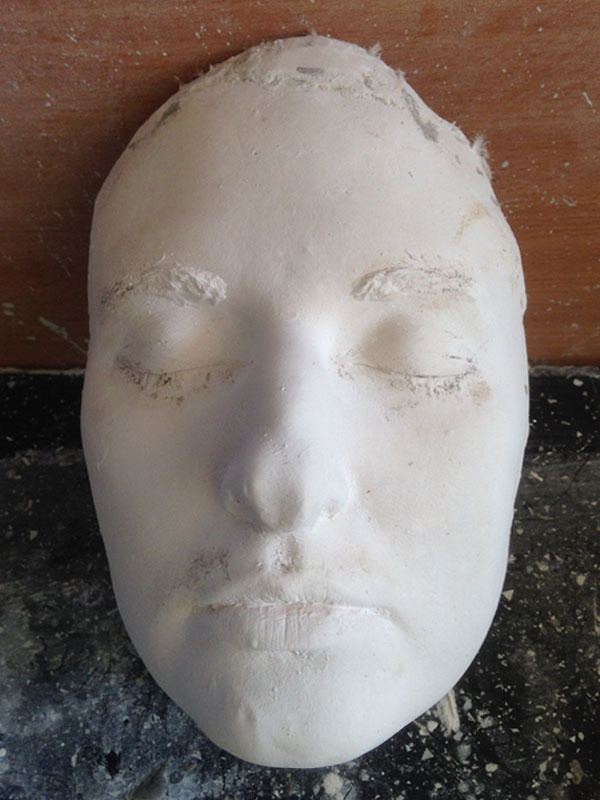 It was reasonably successful but I did give myself a few problems when it came to filling the mould. I managed however to overcome said issues and next time I will avoid making the same mistake. 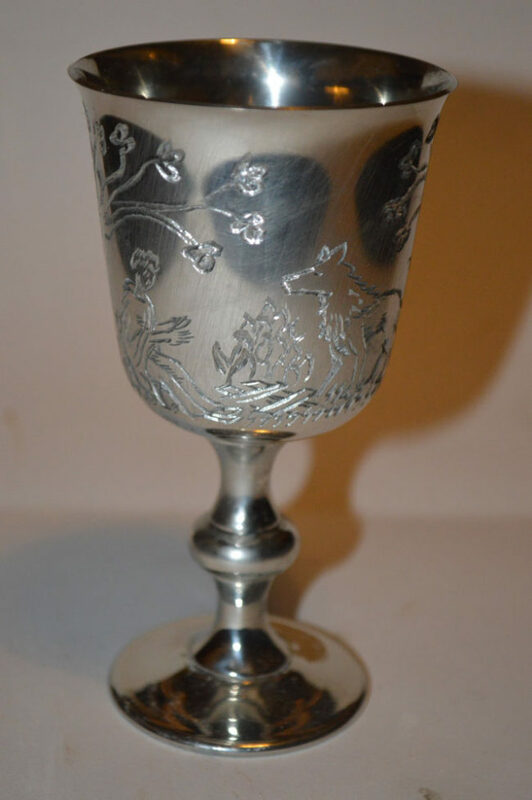 Platgel 25 was used encapsulated in super bladiez cap plastic. It gave me very thin edges. The appliance glued on nicely, edges disolved away and made up with alcohol palettes. 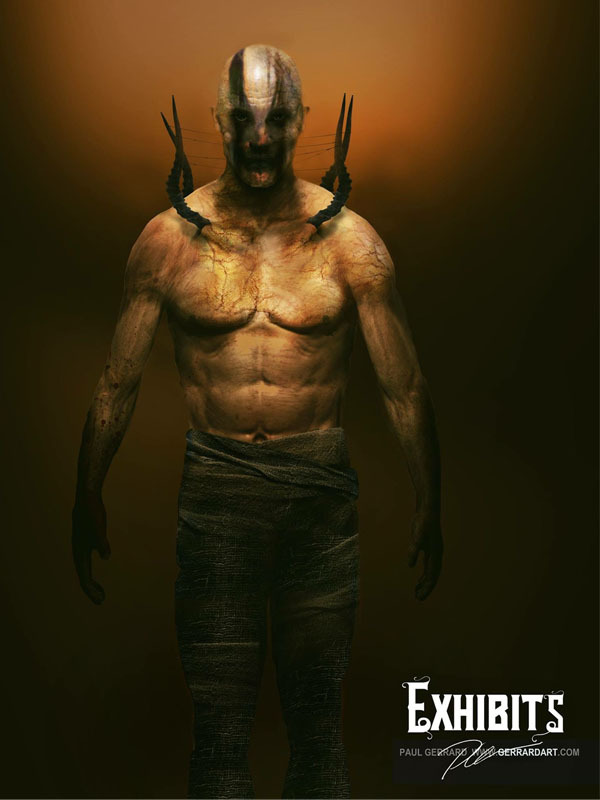 Back in February, I made a low budget demon character designed by Paul Gerrard for the forthcoming horror anthology Exhibits! I was assisted by the extremely talented Juliette Savannah Skye to apply the make up in what turned out to be very difficult conditions..the joys of micro budgets! However filming went smoothly under the direction of Mike Clarke and I look forward to see the results. The short is referred to as ‘a proof of concept’ with the hope it will inspire investors to get involved, so watch this space. 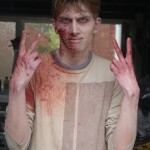 This is a low budget film shot in the north of England during 2010. It took a while to be released as the budget was found to finish the CGI effects and to get a distributor on board. The finished film however will not disappoint fans of British horror. My involvement began when producers Steve O’Brien and Richard Johnstone asked if I’d take a look at the script in December 2009. I read it and made notes over the festive period and really enjoyed it. The film was green lit early into the New Year and we began filming in late Feb, early March. I put a small team together to help me get through the workload that includes Jez Hunt, Dawn Hardy and Will Steele. 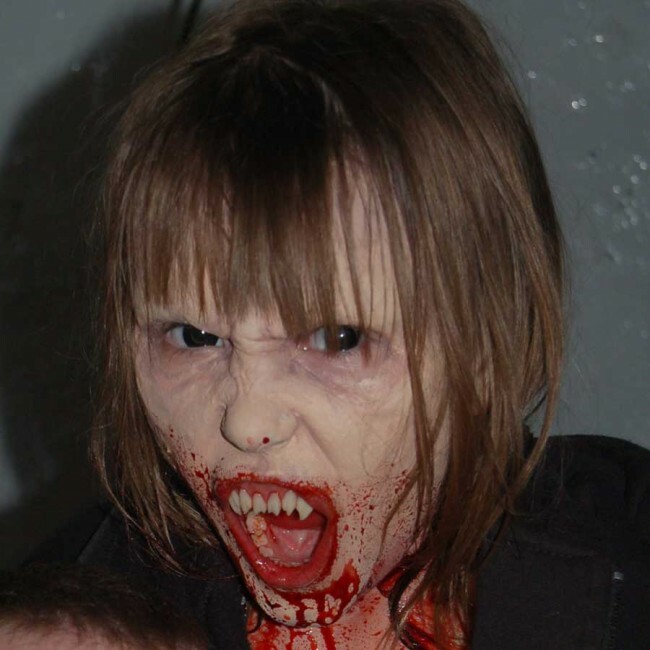 We had a whole load of work to do, several vampire makeups, their victims, some dummies, flame effects and a few prop builds. We had one week pre-production time then it was a case of evenings and long hours during the shoot to get the work done. As ever with these things it was a learning curve, but I am proud of what we achieved in such a short amount of time on such a small budget. Look out for Vampires, it’ll make a great spooky gift! 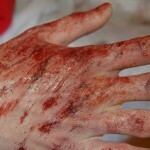 One of the many wounds applied on set, straight out of the kit. 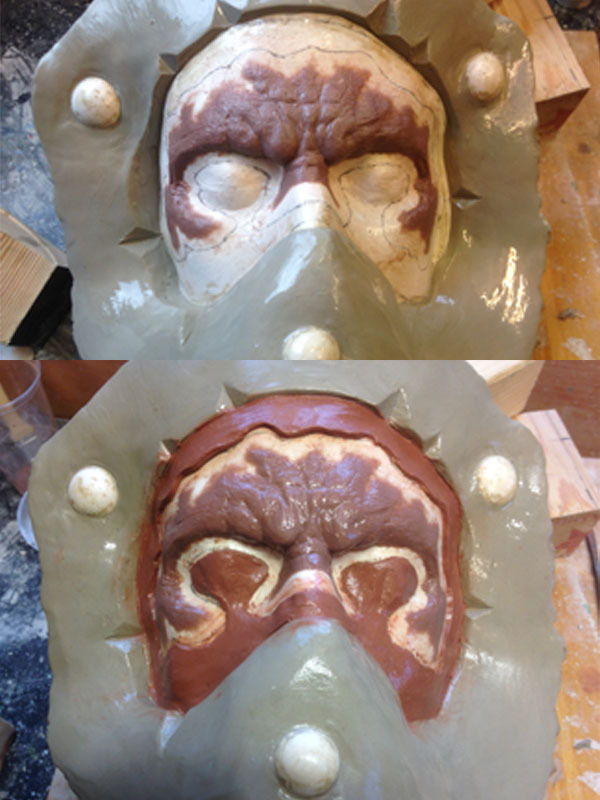 forthis I used sculpt gel coloured with liquidex acrylic, stippled with pros aide and made up with creams, all in approx half an hour. Not to bad! I’ll add some behind the scenes pics in the Blog in the near future. 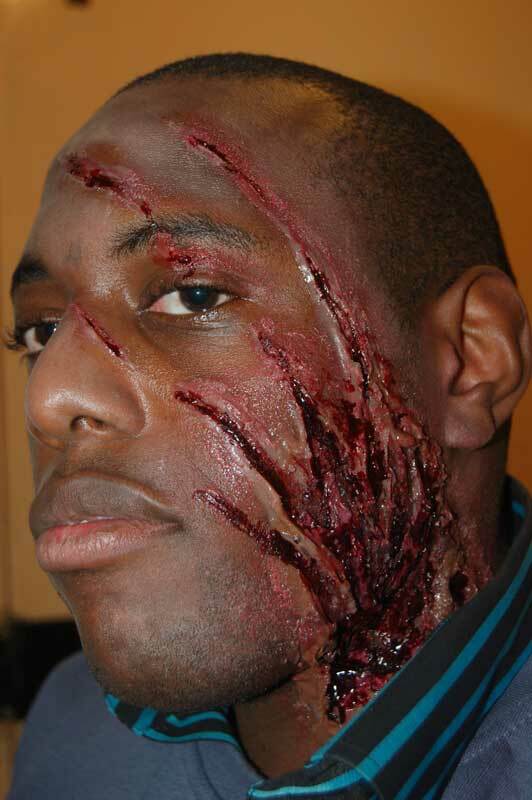 I provided some nasty ‘out of the kit’ make up effects for newcomer James Cook’s psychological horror “Together”. My involvement came late in the shoot of this new short film. I was asked to create two main make-ups. 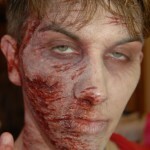 The first being a facial acid burn, the second was to create the effect of letters being carved into the victims skin. James hopes his film gets to have it’s premiere at the Berlin film festival next year. Fingers crossed that it’s a huge success. Gore galore was created for the Comedy Horror “Zombie Women of Satan” which was written and directed by Warren Speed. Lets be honest this is a film for the boys who like nothing better than to crack open a beer, sit with a curry and to leave their BRAINS on the door step. This was the first feature film that I had the opportunity to supervise both the physical effect gags and the make-up effects. It involved two mad weeks of pre-production, working out of a small dusty room with my good friend and artist Jez Hunt. 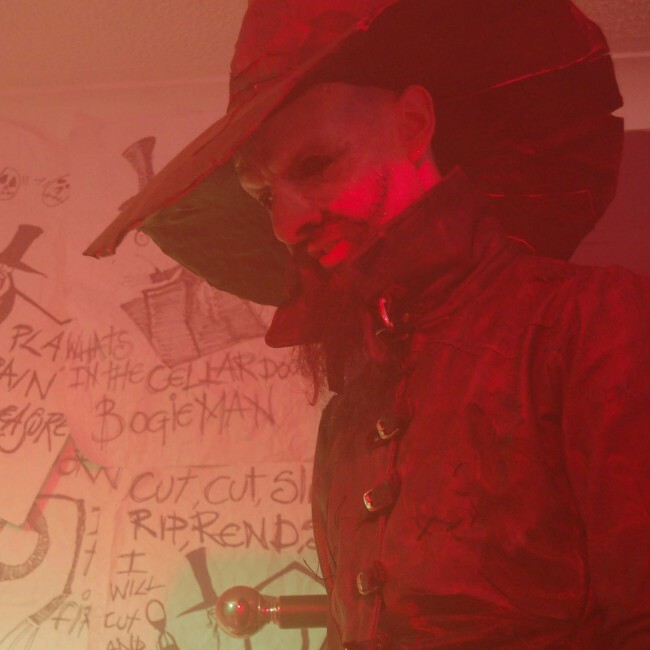 We created a whole variety of effects from duplicating weapons such as knives, golf clubs and baseball bats, to making and applying the gory appliances for the many silly if not horrific sequences. We used every cheap gag that we could think of, the budget was low but the effort was huge. Many effects worked out wonderfully, inevitably some however were less successful but strangely added to the comedy. The film truly was a baptism of fire for all involved. The award winning short film GhostStreet was the brain child of Newcastle upon Tyne based production company Dene Films. The film tells the story of the supernatural and other worldly events that a girl experiences after she is knocked over by a speeding motorist when making her way to school. 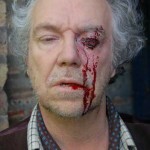 The film featured a number of make-up challenges which where designed and created by leading make-up artist Michael Birtley. Knowing that he had a huge workload and wanting to do something spectacular Michael gave me the call to help him create the ‘skater boy’ make-up effect. 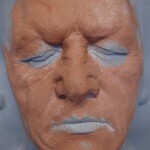 So I helped Michael take a lifecast of the young actor, Lee Fox Williams. 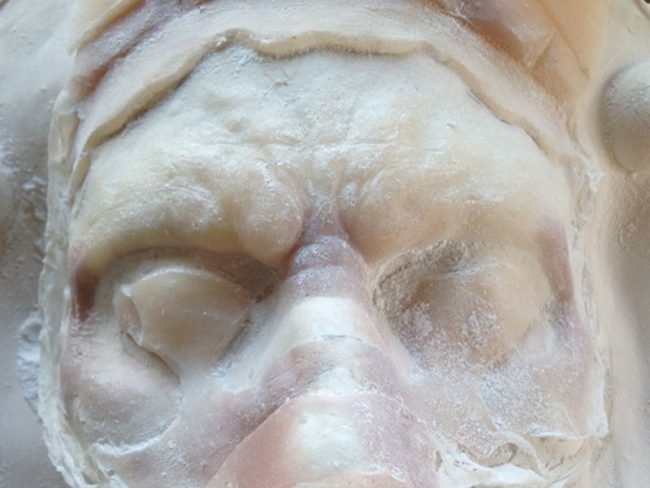 from that I sculpted up the face appliance that was later cast from gelatine. 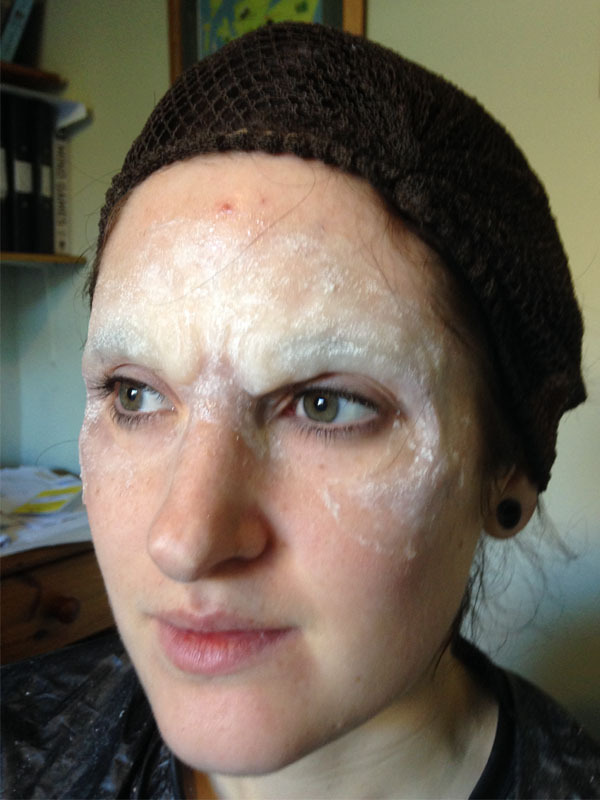 I then assisted Michael to apply the make-up, additional cuts and grazes were created with the use of Bondo, a mixture of Pros-aide adhesive and Cabosil. 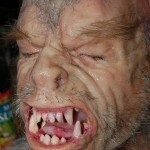 This was a project that I decided to take on purely on the bases that I have always wanted to create a werewolf. Dense Fear and Dense Fear 2 are both written and directed by Newcastle born Tony Gardener. The films have become a labour of love for Tony which he has been making over several years. 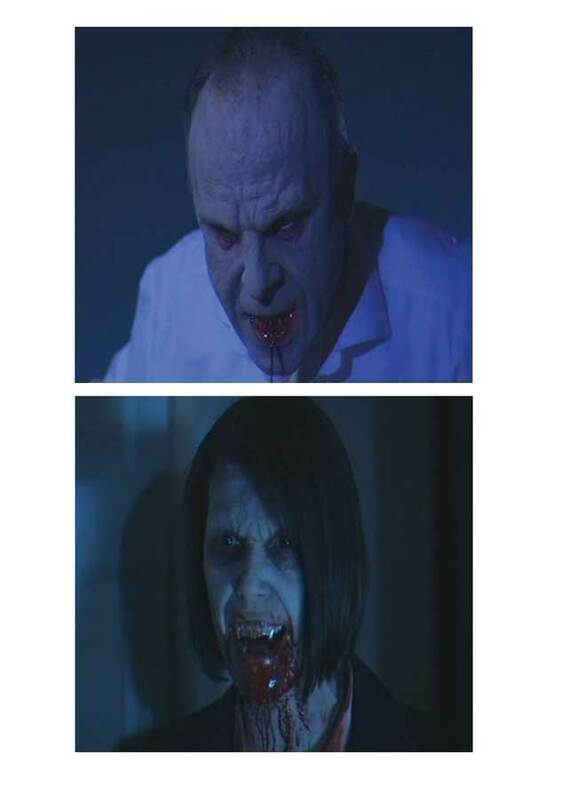 Much of the film Dense Fear 2 had been shot before I became involved. I originally was going to supply Tony with a few simple make-ups and a werewolf puppet head that I had sculpted for a personal project several years earlier. However publicity got involved, professional film making friends took an interest and became involved and suddenly I was nolonger just doing a few bits and bobs, I was now creating a full transformation on a very low budget. Impossible? Realistically yes, but if you’re willing to put in the time (5 months unpaid evening work) the impossible for low budget films became possible and Tony got to reshoot his transformation. The full sequence will be showcased on here soon…I hope 🙂 Hurry up Tony and finish the film. Below you can see ‘The Making of’ film, and some workshop images, cheers guys! 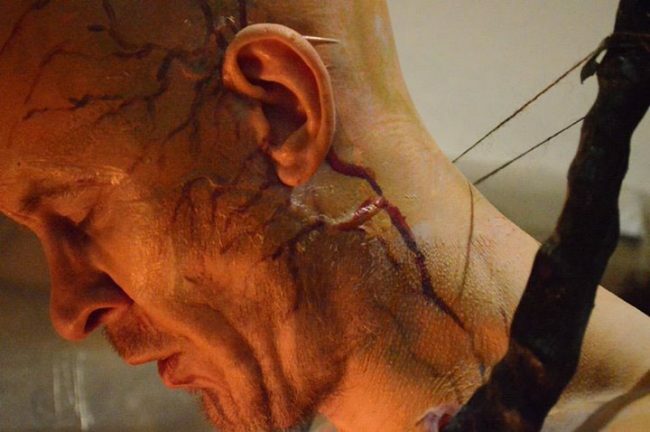 Making of Dense Fear Transformation sequence from Fantome Line on Vimeo. 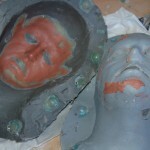 GRP moulds before cleaning, to be ready to fill with silicone gell. Here it is….this is the graded version to match Tony’s film, their is a higher resolution version on Vimeo which I hope to add in the future. Their is a load of things I’d do differently next time should I be lucky enough to get the chance, from better materials, better hair work, better this and better that. Hope you enjoyed and you can see Tony’s full length feature on YouTube. The Bogeyman film was my first attempt at writing and directing. It worked on some levels and not so well on others, but it was a great learning experience. 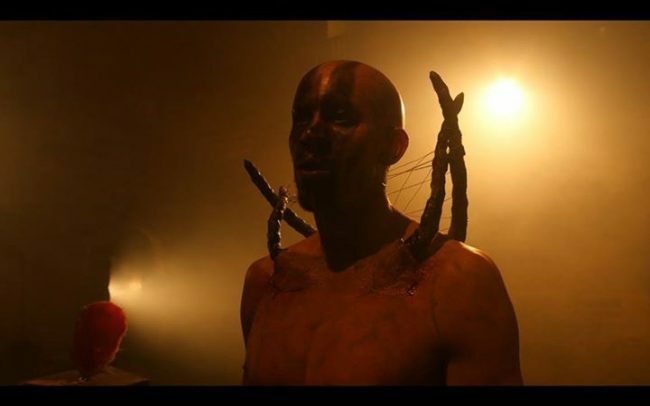 As well taking on the directorial duties I also created the fiendish title creature, but in hindsight, if I was ever to direct again, and indeed I hope I do, I’d leave the FX duties to a trusted colleague. 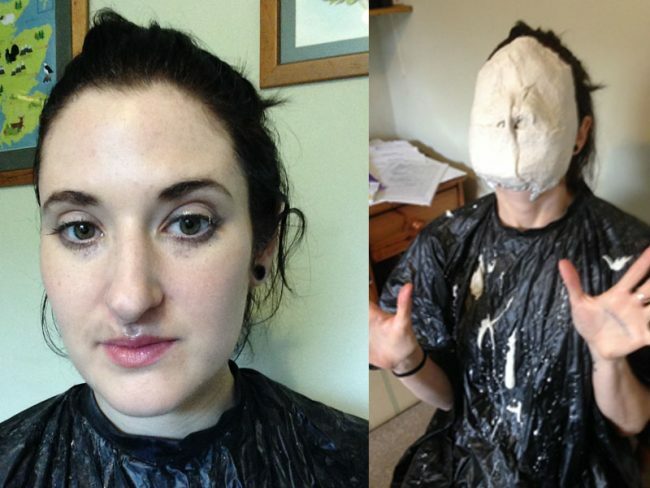 Amongst the things that I created were prosthetic make-ups; a puppet version of the bogeyman; a sand effigy of the lead child actress as well as some set pieces and props…I was busy. I’d like to reshoot the film one day, but next time without all the compromises that we had to make for such a low budget venture, but with all the exciting effects tricks that I had originally planned.